I have written before about the difference between the marketing strategies of the Nikka and Suntory companies: Nikka with its emphasis on Scotch "authentic-ness" and Suntory with its stress on drinkability with Japanese food. Well, an old copy of one my wife's women's magazines gives a perfect illustration of the Suntory approach. 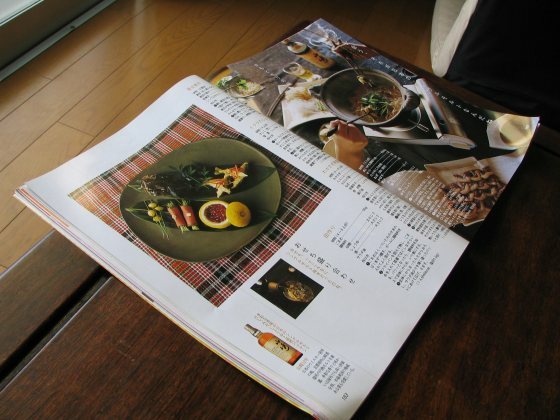 The article was published in the 2005 Christmas issue of "Orange Page", kind of a Japanese version of Good Housekeeping. Like in the West, the Christmas-New Year period in Japan is a time when families get together. Lots of fun is had in some families but for others this can mean sitting for days on end, in a catatonically bored state, getting smashed with people you don't particularly like. I suppose Suntory's hope was that the article would inspire a few housewives to try something new on the fifth or sixth day of their annual nightmare. The article is clearly a product of the Suntory machine because all of the whiskies featured are either produced or imported by them. No Nikkas, other Japanese makes or independent imports are mentioned. That is what it makes it so interesting. The subservience of the journos who produced it gives us a very pure exposition of the Suntory marketing push and I don't think there is a distiller on the planet so intent on marketing whisky as an accompaniment to food as Suntory in Japan. The article adopts the conceit of a conversation between a young man and wife. He comes home and suggests they drink single malt that evening. She responds with surprise, saying whisky is not for eating with and, anyway, it has such a fuddy duddy image. He says he has been to a bar and really enjoyed drinking it with food. Bowmore 12 has a "touch of the ocean." Great with: oysters cooked in their shells covered with cheese; carpaccio of sea bream; grilled veg and chicken with a tofu sauce. Curried and deep fried lotus root and swordfish. Hakushu 12 is smokey with a "flavour of the forest" (I suppose because it is made in a forest.) It has flavours of grilled leaves and cream. Great with: kushiage; chicken wings in a spicy korean stew; sea bass al cartocio in whisky and white wine. Laphroaig 10's smokey, peaty character makes it good with smokey things. Great with: smoked salmon with mashed potatoes; smoked chicken with sauteed mushrooms; smoked scallops and octopus with pickles. Glenfiddich 12 has a white wine smell. The article says it is suited to spicy food and then suggests a lot of pretty unspicy food. Great with: roast pork; roast beef with daikon, soy sauce and spring onions; oysters with rice; cabbage and anchovy pasta. Macallan 12's sherried character makes it suited to sweet stuff. Great with: ice cream, annin dofu, chocolate mouse. Yamazaki 12 is not really characterised in the article, beyond saying it is the oldest Japanese whisky. 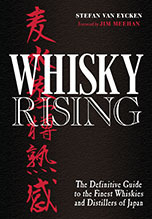 Whatever you think of the particular pairings, this food marketing is playing a large part in defining Suntory whiskies and the company's attempts to achieve drinkability in a Japanese food environment are one of the influences that it could be argued do make its whiskies "uniquely Japanese". I personally love the new years season in Japan, and know many people who do. Good scotch can accompany food. Hakushuu takes like the forest because it is smoked like a Islay scotch. 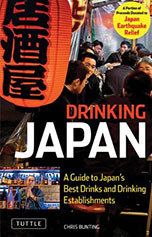 You are clearly not well informed about food, drink, or Japan. Sorry that I offended you. Rereading my post, I suppose I over egged it. I don't think you got the humour and perhaps I was playing to a particular type of humour about Christmas that you will find in Britain. I was trying to get over the similarity between the New Year period in Japan and Christmas period in some Western countries. In the UK at least, we accept that when families get together there is a lot of fun in some places and a lot of grinding boredom in others. Personally, I have had some good fun with my family in Japan, but also a lot of formalities over the New Year period which make it less fun that other time I spend with them.Anyway, the joke fell flat, so I feel stupid now. Hakushu tastes absolutely nothing like a typical Islay malt. You are just wrong there, I am afraid. I reread the piece and you were right. It did strike me that I must have been in a very grumpy mood when I wrote it (had I just had an argument with my wife or something, I ask myself now?). I have edited it a bit to get rid of the worst examples of grumpiness.